When hearing the phrase ‘lead nurturing,’ even experienced marketers generally consider it a synonym of the also popular ‘marketing automation’ concept. In reality, lead nurturing can consist of marketing automation. But limiting it to being equivalent with its relative means you may not get the most of this potentially incredibly powerful marketing strategy. We won’t waste your time with long definition – as an experienced marketer and reader of this blog, you probably know that marketing automation is the process of sending automated messages (generally emails) that bring your leads through the funnel and toward becoming customers. How is that different from lead nurturing, which according to its very name means nurturing your leads toward becoming customers? The key is that the latter does not have to be limited to emails. And used correctly, your CRM can help significantly improve and personalize your lead nurturing practice. If at this point you are at least a bit confused, we don’t blame you. But stick with us – your digital marketing efforts will thank you later. As it turns out, lead nurturing is a very broad concept; in fact, it is so broad, it’s almost impossible to find a specific definition of the concept. That suggests two things. One, even experienced marketers cannot or do not want to narrow down the concept, and two, it’s a practice in which (almost) everything goes. Think of it this way: if the concept ‘only’ stands for guiding leads through your sales funnel on their way to becoming customers, that means you can use any communication channel you deem necessary to get your leads to where they need to go. And your CRM can be an invaluable helper in doing just that. Of course, your emails and marketing automation should be a core part of your lead nurturing efforts. Their automated format allows you to make sure that you follow up with every single one of your leads, letting them know about web content, tutorials, or offers they may be interested in. And with the right CRM, software you can even mass-personalize your emails using contact attributes directly from your database. But the true personalization happens when you go beyond email. CRM software like ours offers social media integration, which means you can add and interact with your contacts directly from the software environment and increase the bond they have with your company. You can even directly monitor the social media feeds for keywords related to your company, which in turn allows you to reach out to leads the moment they discuss your brand on their network of choice. Of course, you can go even further and get even more personal than social media interactions. In fact, once your leads have reached an advanced stage in your sales funnel, you should strongly consider reaching out to them personally via a phone call to see if you can answer any questions they might have about your product. At this point in the funnel, your leads will be advanced enough to not mind that call, and will be happy to talk to you. And here’s the kicker: using your CRM software, you can make that call ideally prepared with information about the lead you’re about to call. Software like ours records not only individual contact attributes, but past actions that your leads have taken related to your marketing efforts. That, in turn, lets you know just what exactly your potential customers are interested in, allowing you to steer the conversation toward the most relevant discussion topics possible. 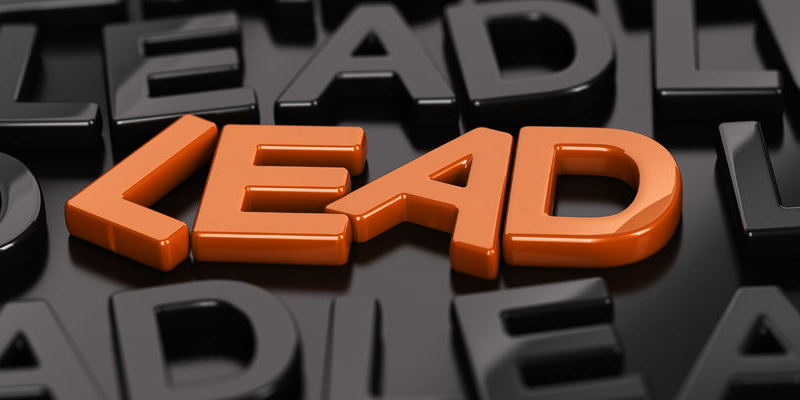 Lead nurturing can be incredibly powerful; in fact, according to HubSpot, companies that excel at lead nurturing generate 50% more sales ready leads at 33% lower cost while nurtured leads make 47% larger purchases than non-nurtured leads. By taking your nurturing efforts beyond marketing automation and taking advantage of the many features within your CRM software, you ensure a truly personal experience that gets leads through your funnel and customers into your pipeline. Contact us today to learn more about how your CRM software can help your lead generation efforts!